You can listen to some of our pieces by clicking on the blue arrows in the AudioPlayers below. 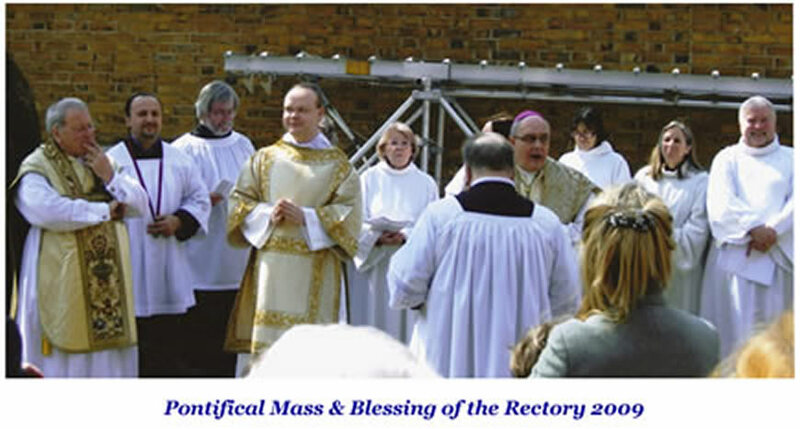 They include the motet "Ave Maria" written especially for the Choir by the late leading Jewish Composer, Emmanuel Fisher, "O Rex Gloriae" written for us by one of our own members, Robert Hugill, Vittoria's motet "Sitientes" and an example of our Gregorian Plainchant. 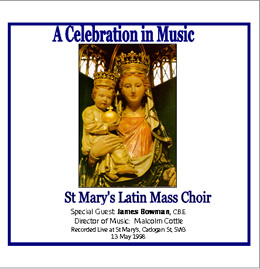 In 1998, as part of the BiCentennial Celebrations of the founding of St Mary's Parish, the Choir performed a concert entitled "A Celebration in Music". We were most fortunate to have as our guest at that concert, the world-famous Counter-tenor, James Bowman. 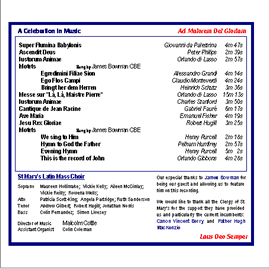 To raise funds for the Choir, a CD was produced and James graciously allowed us to include the pieces which he sang -- both with us and as soloist. Copies of that CD are still available, priced £10.00 inc post and packing. If you are interested, please click here.